For some time I wanted to acquire and restore a 'vintage' OB vehicle, and to have it as near to operational as possible. Most of these vehicles were sold off by the broadcasters at the end of their useful life, and met various fates. 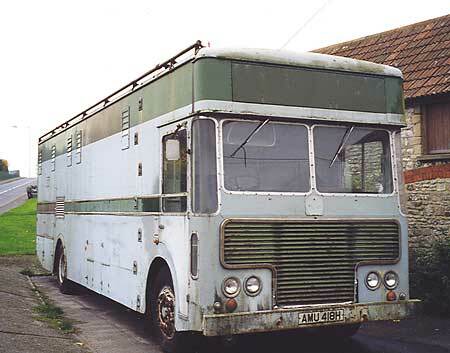 Some were sold complete to broadcasters overseas who were willing to buy second-hand, but the majority were stripped of equipment and either scrapped or converted into horseboxes, living vans or whatever. When the opportunity arose to buy a virtually complete original ex BBC unit with an interesting history, it was too much to resist, despite the problems, which were many. Where do I start? I had already started the conversion of the Dodge links vehicle into a four camera unit, and had spent time and money on it. CMCR9 was in far worse condition, having been stored in the open or a damp cold aircraft hangar for over 25 years. Almost every piece of equipment was faulty, and the vehicle itself was totally unroadworthy, but it was still worth quite a lot of money for scrap and the collectable items such as the EMI cameras and the Pye sound mixer. I knew that a couple of ex-BBC early colour units had been sold off complete with cameras and equipment, one being donated to the National Museum of Photography, Film and Television, and another being in private hands. In fact I had considered buying it about 10 years ago, when the owner was looking to sell it, but reluctantly decided it was impossible as I had neither the resources nor time to work on it. All BBC vehicles had designations indicating the type of vehicle, but the OB units had other designations which related to their base. These were allotted to new vehicles when old ones were decommissioned, so there was more than one North 3 over the years. 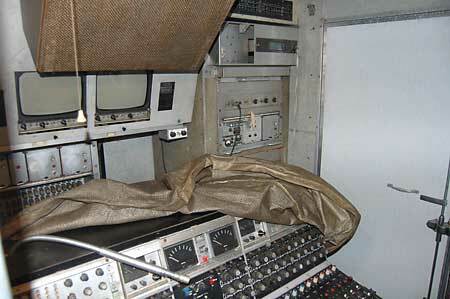 This Type 2 (C9, North 3) originally had Pye cameras, but these had been removed after it was sold from the BBC. The owner had started to fit it with EMI 2001 cameras, as originally fitted in the London units. Apart from the cameras it was substantially intact. Another buyer was eventually found who intended to restore it for a museum project to be situated at a WW2 American airfield in Devon. The photo above was taken around 1997 when it was moved to inside storage at the airfield. It is over 40 years since the BBC began to commission their fleet of 9 Colour Mobile Control Rooms, an immense investment in state of the art technology, costing around three million pounds. Colour television was still in its early stages and the cost of colour sets was still beyond most people. These units covered all the major events in the UK as well as tackling some OBs that seem incredible given the size and weight of the equipment involved. 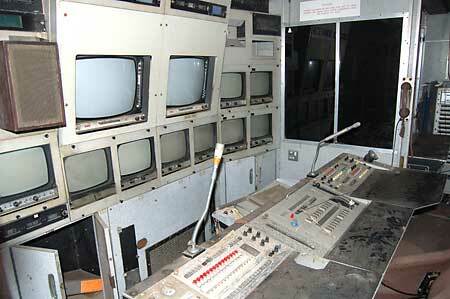 The production operations of these broadcasts were triumphs of engineering, planning and skill. We are gathering information and photographs of Type 2s in operation and you can see them here. If you worked on BBC OBs in the perod 1960-1983, or took photographs showing them, we would love to hear from you. 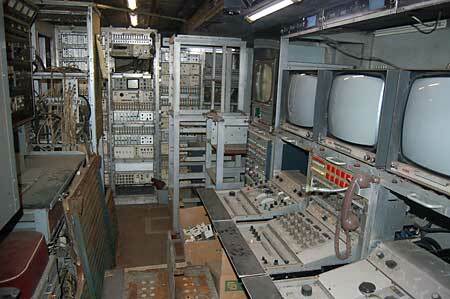 Follow the ongoing restoration of CMCR9 (North 3), 26 years after decommissioning. All information and images on this site copyright by On The Air Ltd. 2008, and may not be reproduced without permission.